DIO “INTERMISSION” – LIVE ALBUM FROM 1986 IS A METAL MUST! DIO – Released in June of 1986, DIO – Intermission has always been a favorable listen for me. The lone studio track, Time To Burn is a major reason why I bought Intermission so many years ago. This song just stuck to me instantly, from the very first time I heard it on either WCCC FM or WHCN FM out of Hartford, Connecticut. 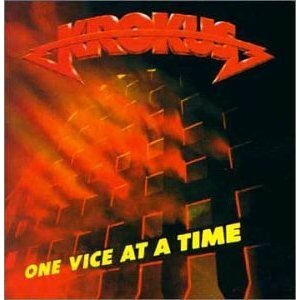 The combination of the melodic hardness and lyrics of Time To Burn just never seems to dull on my Metal senses. I still get the same ostrich bumps on my arms and face when I listen to this song today. Metal be thy name. The only difference between now and then, while listening to this vintage DIO song, is that at this point in my Metal life… I don’t feel I have that much “Time To Burn” anymore. Back in 1986, there was no such thing as itunes, so buying just the song Time To Burn was not an option for me. Buying a song or two like we do today, at any time of the day, with the click of a computer mouse, was pure Science Fiction back then. Of course I wanted the entire song package that Intermission bestowed, as of 1986 there was no official live DIO title until this album was released. Furthermore, I, like so many millions of other DIO fans, was riding the wave of incredible album releases by DIO during those early to mid 80’s… 1983’s Holy Diver, 1984’s The Last In Line and 1985’s Sacred Heart were a triple dose of Heavy Metal ecstasy and still are! In Metal truth, Intermission can easily be referred to as an EP, with only six songs. Five of the songs are live, with of course Time To Burn being the studio track. Track five is a live medley of three songs – Rock ‘N’ Roll Children, Long Live Rock ‘N’ Roll and Man On The Silver Mountain. Adding two classic Rainbow songs into the live mix, with Long Live Rock ‘N’ Roll and Man On The Silver Mountain was a brilliantly cool idea from Ronnie James Dio, in my Metal opinion. These two Rainbow songs were and forever will be synonymous with Ronnie James Dio. The overall sound quality of the live songs are well above average, you won’t be listening to a bootleg when it comes to quality. Intermission will never go down in Metal history as the greatest live album… still it is an excellent live DIO album that is a must for new fans. Old School DIO and Heavy Metal fans should already be familiar with Intermission, embracing it as much as I do could differ from one fan to the next. Ronnie James Dio left us fans with an incredible and unparalleled catalog of music. 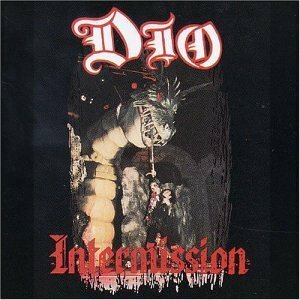 Intermission is a DIO album that captured a moment in time and is too good to ignore. Intermission is still readily available at nearly every online music retailer, plus it sells for well under ten dollars, (U.S.), in both new and used condition. I’ve also seen Intermission on vinyl, selling in the ten dollar, (U.S.), range for both new and used condition. Adding this DIO album to your DIO or Heavy Metal Music collection is a smart Metal move… who knows for how much longer it will be in print? 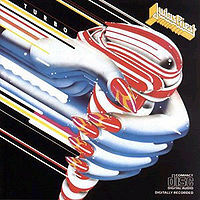 * DIO – Intermission was originally released on Warner Bros. Records in North America. * Craig Goldy has been the guitarist for: Rough Cutt, Giuffria and Craig Goldy’s Ritual. * Intermission was the official introduction of Craig Goldy as the guitarist for DIO, replacing Vivian Campbell. * Craig Goldy is the guitarist on DIO’s studio albums: Dream Evil (1987), Magica (2000) and Master Of The Moon (2004). 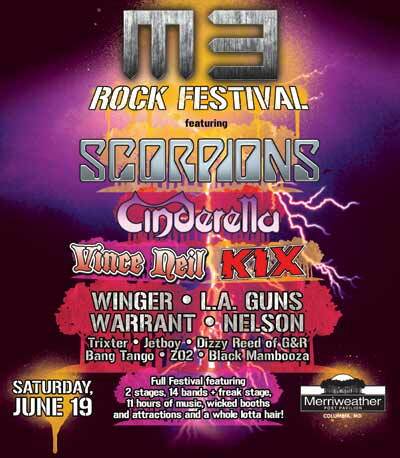 * After leaving DIO, Vivian Campbell joined Whitesnake in 1987 for their World Tour, through 1988. Vivian Campbell went on to play guitar on Lou Gramm’s 1989 solo album – Long Hard Look. He also played guitar for Riverdogs and Shadow King before joining Def Leppard in 1993. The Def Leppard album from 1993, Retro Active, was Vivian Campbell’s first appearance as guitarist with them. 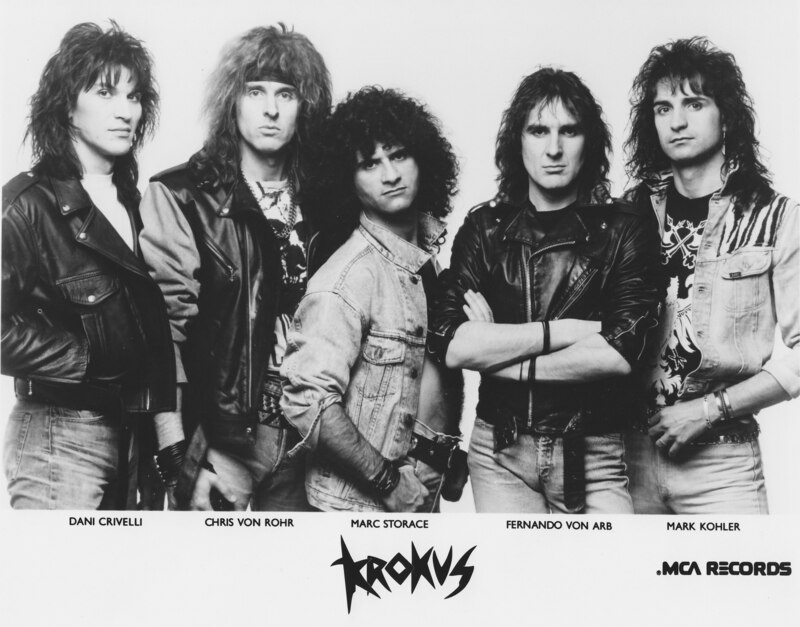 KROKUS – 1986 FLASHBACK: “BURNING UP THE NIGHT” MUSIC VIDEO AND TOUR POSTER! 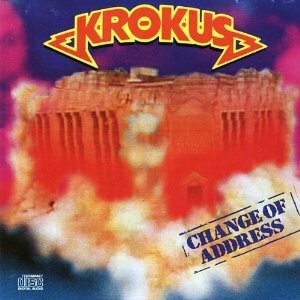 KROKUS – Back in 1986, Krokus released their really cool, Hard Rockin’ and infectiously melodic album – Change Of Address. One hot single off of this album was Burning Up The Night. 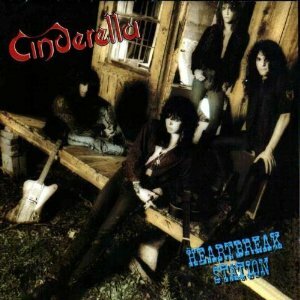 A feel-good late ’80’s Hard Rock song that makes me want to check in my nonsensical stress at the Metal door! 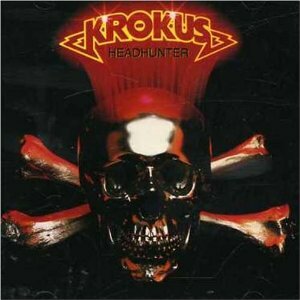 Each time I listen to this classic Krokus song… I do just that, throw away the negativity and let the Rock be the Rule! Check out the music video below… crank it up LOUD and be glad you did. Take a Metal look at this vintage concert/tour poster from around 1986! 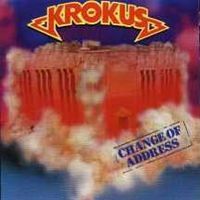 Judas Priest was out supporting their Turbo album, (released in 1986 on Columbia Records), and Krokus supporting, of course, their Change Of Address album released the same year on Arista Records. 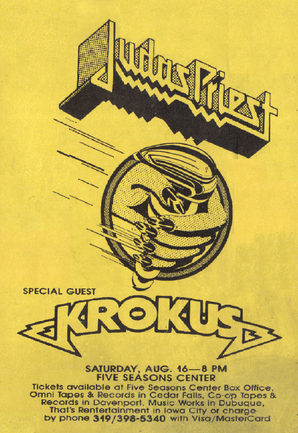 I’m almost certain Metal buddy Kinger over at Demolish Fanzine – 1980’s Heavy Metal Revival plucked this piece of Metal history out of his Heavy Metal archives and sent it my way… this is the vintage and cool Heavy Metal history you can find over at Demolish, it’s worth the Metal visit to peruse over there. 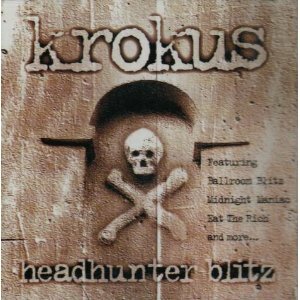 Here are some recent posts Metal Odyssey has featured, relating to both Krokus – Change Of Address and Judas Priest – Turbo… click on the header links below if you like and enrich your Metal mind or maybe get semi-annoyed. Either way, feel free to comment on your Metal thoughts regarding these two bands, their albums and incredible accomplishments in Heavy Metal history. COME TO AMERICA FOR SOME CONCERT DATES LATER IN 2010! 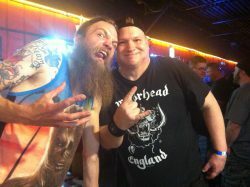 YOUR FANS ARE HERE… WE NEVER LEFT!! THERE IS DEMAND FOR YOUR ROCK ‘N’ ROLL IN AMERICA! DANGEROUS TOYS – TEAS’N, PLEAS’N SONG FROM 1989 REVISITED! 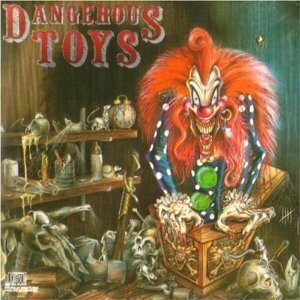 DANGEROUS TOYS – Just when you thought that 1989 was the beginning of the end for Heavy Metal and Hard Rock going into the ’90’s… think again! Here is yet another example, of a band that made some serious heavy noise at the onset of the Grunge invasion and right into the mid ’90’s… Dangerous Toys. Based on the songs from this 1989 debut album, Dangerous Toys put a dose of the “F” word into their songs lyrics,… “F” for fun that is. 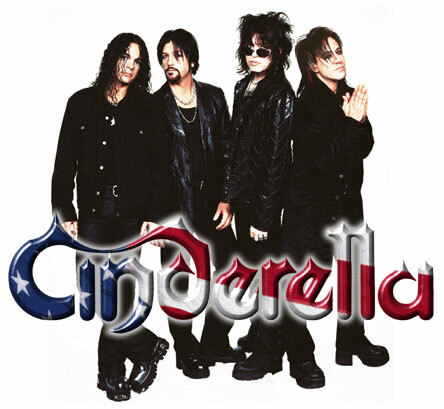 Don’t let the fun lyrics fool you though… this band could play the heavy with Metal ease… and still can. 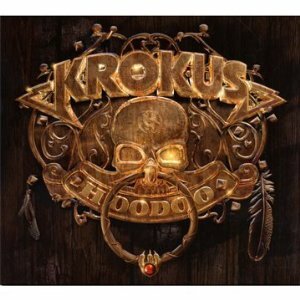 Jason McMaster’s vocals is stuff of Old School… this entire album for Metal sakes is, as well. 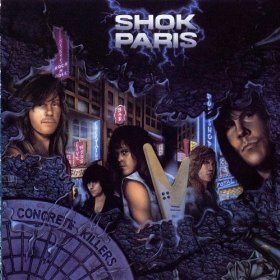 I like this debut Dangerous Toys album a whole Metal bunch. Teas’n, Pleas’n is just one of many kickin’ songs from that album. I still own a copy of this Dangerous Toys debut on… yeah, yeah, yeah, it’s on cassette. So Metal be it, it still plays! Here’s hoping you like Dangerous Toys and Teas’n, Pleas’n like I do. If that’s the Metal case, crank up this song LOUD and be glad you did! 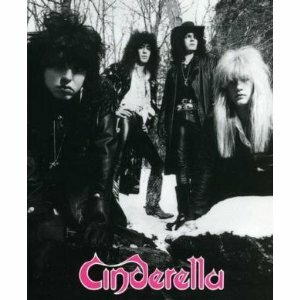 * Dangerous Toys was released on Columbia Records.